If there ever was the most perfect maxi dress, this would be it friends! It is actually funny how I stumbled upon this dress as I was looking for something completely different but you know when you are at the mall and something catches the corner of your eye? Happy International Women's Day plus a Giveaway! Happy Monday friends! I am so excited for today's post as it is one that I haven't wrote before but I plan to bring more content like this to the blog as I hope it will serve as a resource for you when you are stumped and may need ideas on how to style staple pieces in various ways. Loft Try On Session Plus Everything is 40% Off! Happy Friday friends! My favorite store is having a huge sale right now and they have so, so many cute things for Spring and Summer plus its all 40% off with the code FRIEND so I wanted to share a try on session with you and some of my favorite pieces! Now is a great time to grab those items you have had your eye on because it's on sale and you know I love getting cute clothes at a good deal! Happy Thursday friends! I am so excited that the weather is finally warm and we can start wearing all things Spring! I recently stopped into my favorite local boutique, Black Sheep Boutique and I got so many cute things for Spring that I am so thrilled to share with you today! My favorite thing about the weather finally getting warmer is that we are officially in grilling season and I am so happy about that! We love grilling all Spring and Summer long and it makes preparing meals so much easier. Happy Monday friends! Whew, it’s been a hot minute since I lasted posted but I am definitely feeling better and getting back into the groove of things and I am so excited to share this easy lunch idea that was inspired by my sweet friend Johanna! This past Monday, me and a few of my blogger girlfriends ( Kat, Lindsey and Amy Ann ) got together for a fun photoshoot to celebrate International Women’s Day and I am so excited to finally share all the photos from the shoot! International Women’s Day is a day for us as women to join hands and not only celebrate each other but also empower each other. If you guys follow me via Instagram then you may have saw that I shared about Boxed Wholesale which is a service that I have been using for a few years now to order household items that are delivered straight to my doorstep. If you are unfamiliar with Boxed Wholesale, it’s basically buying in bulk without having to purchase a yearly membership and the best part is that it gets shipped straight to your doorstep! I am so excited to be partnering with a jewelry company that I grew up wearing as a teen! James Avery Jewelry is definitely a household name and I am thrilled to partner with them today to talk about all things Valentine’s Day! Hi, I'm Thuy and I am a Tulsa based Lifestyle Blogger. 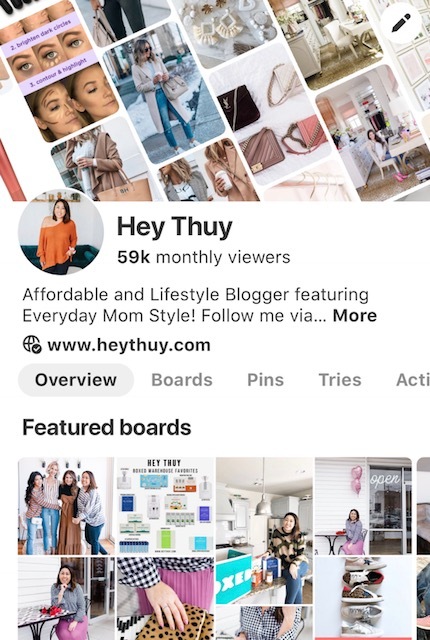 Hey Thuy is a Lifestyle Blog where I share all the things from affordable everyday style, easy recipes, home decor, and mom life.